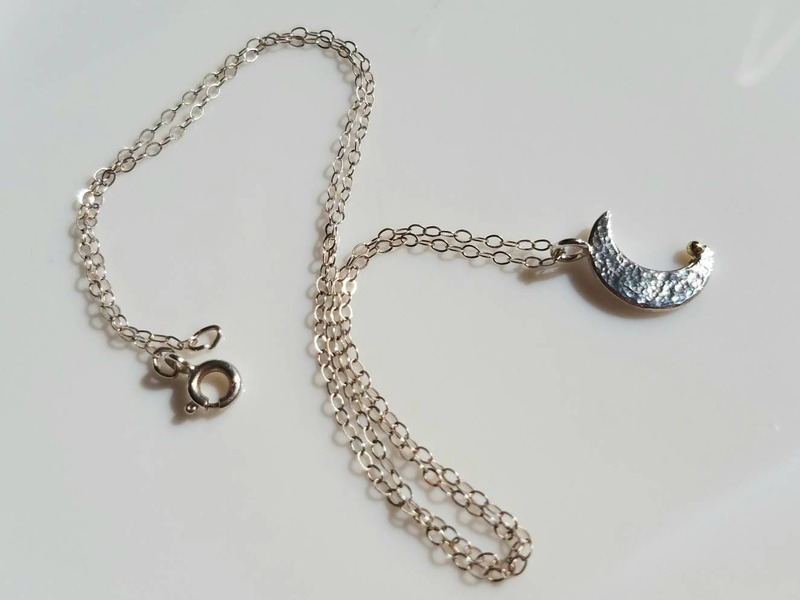 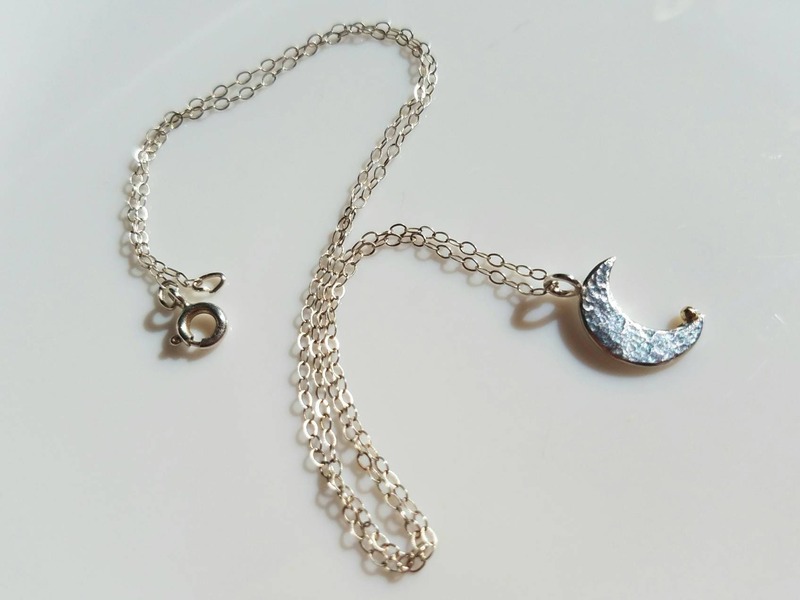 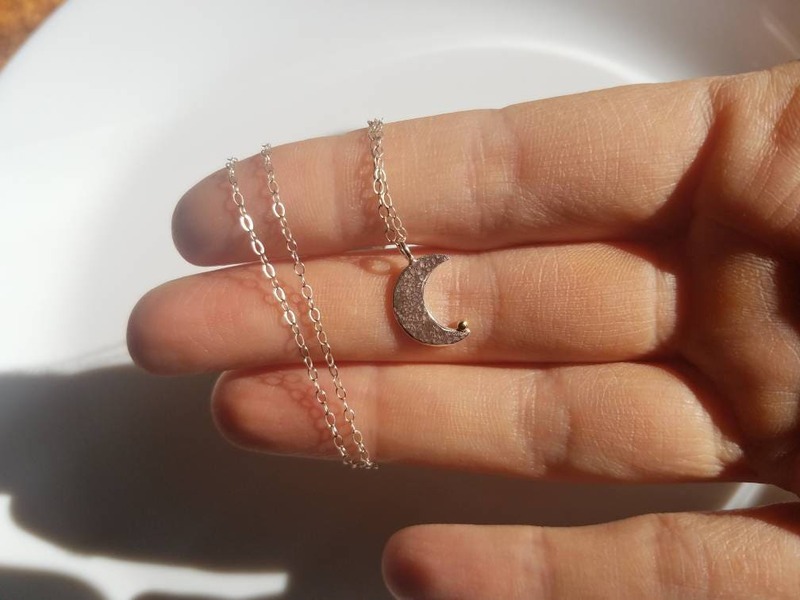 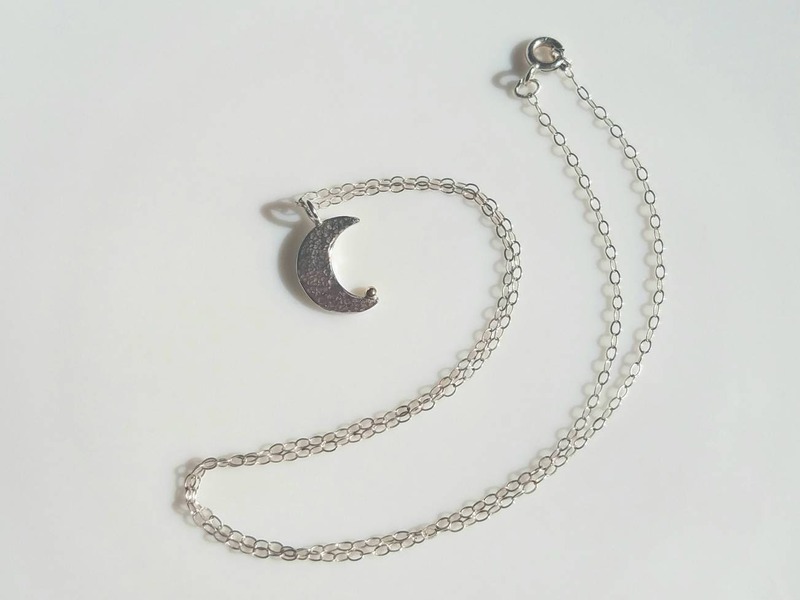 I created this dainty pendant by cutting out the moon shape by hand and giving it a moon surface texture with a tiny hammer. 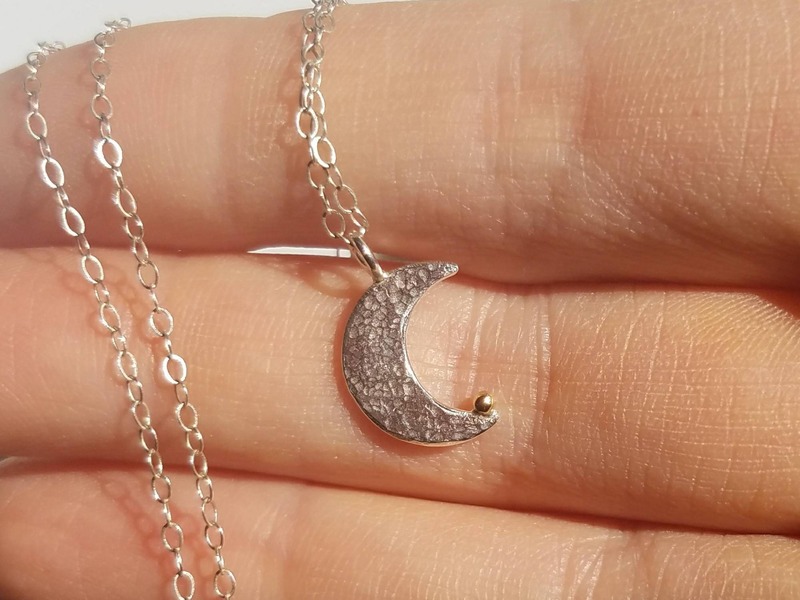 I adorned it with a tiny 14k gold sphere to symbolize a speck of stardust landing on it's surface . 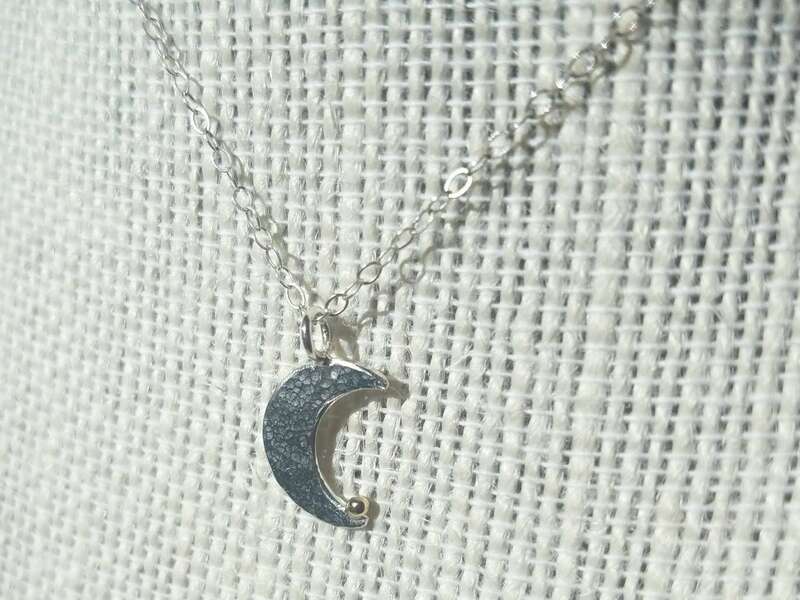 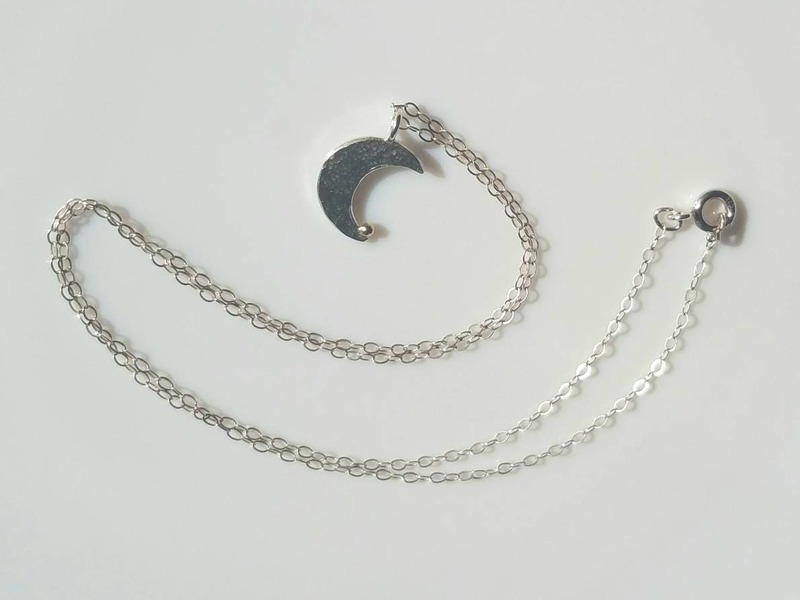 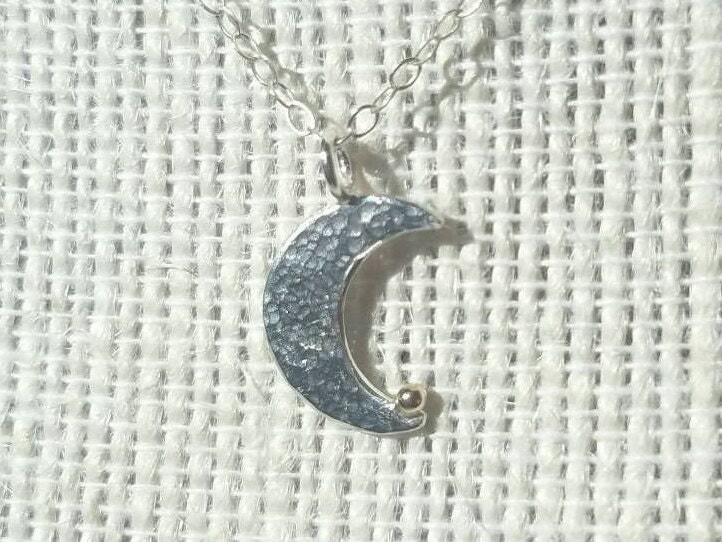 The pendant measures approximately 13 by 16mm and comes with a 16 inch sterling silver chain.